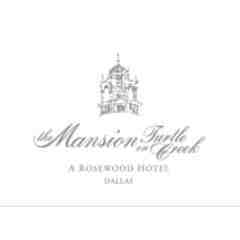 Enjoy a one night stay in deluxe accomadations, full American breakfast for two, and complimentary overnight valet parking at Rosewood Mansion on Turtle Creek in Dallas, Texas' only Forbes Five-Star and AAA Five-Diamond hotel. Package is based upon availability and must be redeemed by October 1, 2013. 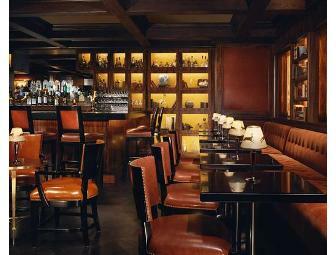 Certificate number required when placing reservations and must be presented upon check-in. Cash nor credit may be issued for any unused portion of this certificate. Not valid holidays or special events; some restrcitions may apply. Following e-mail notification of a winning bid, this item will be available for pick up at (location) or for shipment to the address of your choice. If shipment of your item is required, shipping charges will apply and will be billed as a separate charge to your account. MDA will make every attempt to combine shipment of items however, if items you purchased during this auction are located in multiple locations, you may incur additional shipping charges. Sales tax will apply and be charged to purchasers in California, Colorado, Florida, Maryland, Michigan, Minnesota and South Carolina. No refunds or exchanges.